By Michael Heipel and Guests. Buyer personas can still rarely be found in marketing concepts for trade shows, exhibitions, conferences and other B2B events – which is a pity, in my view, and a missed opportunity. Will the (visitor marketing) bait be attractive for the fish? When you have well crafted buyer personas, the chances of meeting your target audiences’ expectations with your content are a lot higher. At the same time, buyer personas help you transmit a better image of your event towards business target customers like exhibitors and sponsors. In e-commerce, creating buyer personas is a common and proven marketing strategy. Buyer personas help you identify the core needs of your target audience and address them in a better way. Let’s take a look at five steps how to craft, document and implement buyer personas for your B2B event marketing campaigns. Typically, congresses have a pretty clear audience profile. Especially associations that run events will have a clear picture of who their attendees are. For exhibitions, this may be more complex, depending on the nature and size of the trade show. Imagine an exhibition that presents a whole sector, take HANNOVER MESSE industry show as an example. You will probably wind up with quite a number of different audience segments with quite different roles when it comes to their influence on purchase decisions. Location: Where do they come from? What industry segment do they work in? What is their decision making capacity? What is their job title and hierarchy level? To what extent are they interested in specific product areas? We did this exercise recently for a trade show, and we wound up with 25 different segments! Don’t be scared to break the segments down to such a level, because you can still group together some of those in the following steps. 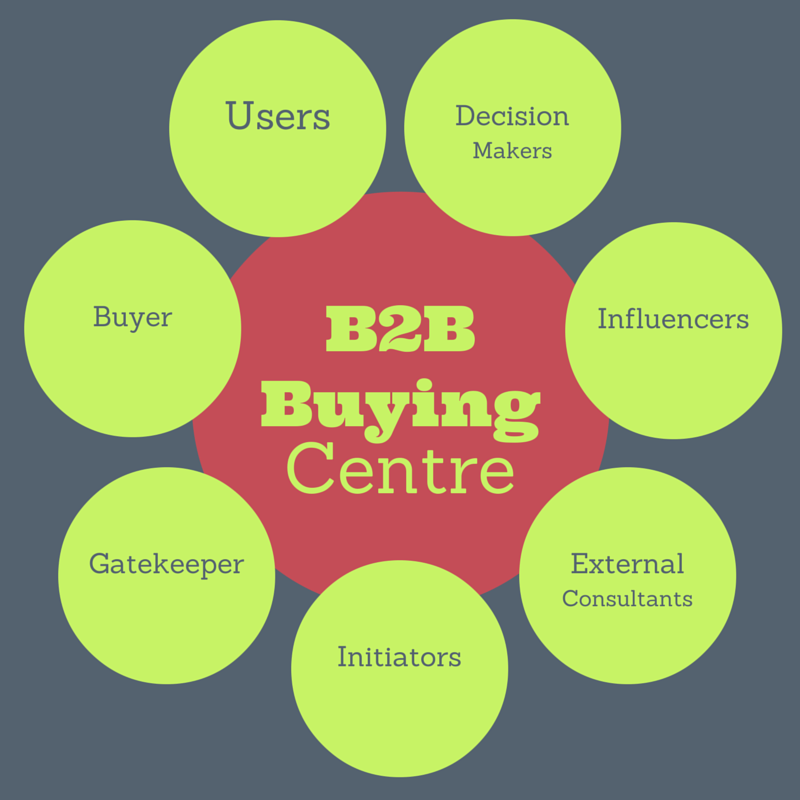 In the B2B customer journey and decision making processes, you will often come across buying centres. Buying centres are informal structures. That means that your exhibitors and/or sponsors will very often be confronted with a complex mixture of different roles when they want to market their products and services. Understanding your visitor segments and what kind of roles those segments play in the buying centre is crucial to addressing the right target audiences for your B2B events. In essence, B2B events are about connecting the purchasing decision makers with the suppliers’ industry. So it is important to understand the mechanics of the market that you are looking into. What are your visitors’ roles in their buying centres? What is the potential of that particular segment? How many people are we talking about? To what extent are those people already attending your B2B event? What is the gap between the actual potential and your current attendees? How many do you have in your database? How do they typically gather information about trends in the market? Nowadays, the customer journey begins (and often ends) on the web. Forrester Research say that 74% of the research of a B2B buying process happens online. That said, what role do live B2B events play in the journey of your target segments? If they don’t attend your event, why not? What would they need in order for your event to be attractive to them? Some of this information can be gathered through desk research via chambers of commerce or business associations. Other aspects will have to be researched through online surveys, customer panels or expert interviews. Don’t underestimate how much knowledge is already out there in your organisation. But be aware that making false assumptions can kill your marketing campaigns later on. That applies particularly to content marketing campaigns. Once you have clear vision of all of your customer segments and the dynamics on their customer journey, you can break down those segments to a manageable number of buyer personas. Now, you could say: what do I need buyer personas for when I have done all this research and have clear enough descriptions of the customer segments? Quite simply: As human beings, we relate to other human beings a lot better than to facts and figures! Characterising your most important visitor segments by giving them a name, a face, a job title, a fictional company helps all the people involved in creating your marketing campaigns putting themselves in the shoes of the potential audiences. Let’s say you define 5-6 different buyer personas, representing the core visitor segments of your event. Asking yourself each time you produce a piece of content: “Would any of my buyer personas value this?” will help you raise the effectiveness of your marketing activities drastically. This could be your buyer persona…? What are their daily challenges and pain points today and in future? What motivates him/her in their jobs? What would she/he value about your B2B event? What problem can your event solve that she/he has? Regarding the pictures: When you use your buyer personas strictly internally, you can just go for random LinkedIn profile pictures. You might as well use a service like Makemypersona.com for the creation process. The days are gone where we could design the one and only marketing campaign “to rule them all”. The trend is clear: As much personalisation as possible, giving your audiences the feeling that they are right at the centre of the attention! What are the best ways to reach them? What are the best selling points to convey? Which is the individual USP for each persona? What is the best story to tell? What kind of content will they value? These may differ for each of them. In the online world, you can measure pretty much everything today. And you can target very specifically different audiences. There is a thin line between what is manageable and what is overdone. Buyer personas will improve your marketing efficiency overall, though, and that is definitely worth the effort. Even though your buyer personas should be designed so that you can use them for a longer period, their behaviour and motivation may change. To what extent did you reach our audiences with your persona-based marketing campaigns? Do you need to fine-tune the content, the delivery and/or the channels? In what way does the behaviour and the motivation of your personas change over time? Do they now prefer other channels? What are the implications for your marketing activities? Thus, you can make sure that live events will continue to play an important role in the customer journeys in your sector. What are your experiences? Look forward to discussing the pros and cons of crafting buyer personas with you! 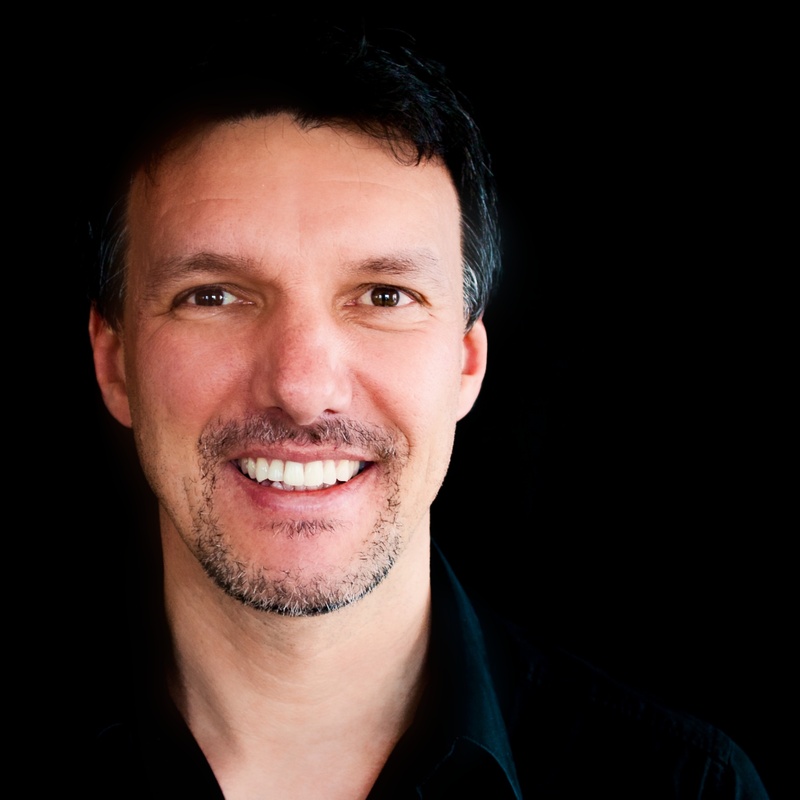 is part of the service portfolio of Michael Heipel Concept & Consulting. Want to know more and/or apply the concept to your events? Just drop me a line or leave a comment! Maybe the vor types of fair visitors of the PfH thesis of Dr. Kassubek 2011 (in german “Attraktivität von Messen als Business-to-Business-Veranstaltung”) could be an additional input. He extracted 4 cluster: “Die passiven Skeptiker”, “Die jungen Perfektionisten”, “Die pflichtbewussten Rationalisten” and “Die loyalen Entscheider”.